The press launch for the McGrath Clan Gathering attracted huge press coverage in the papers. 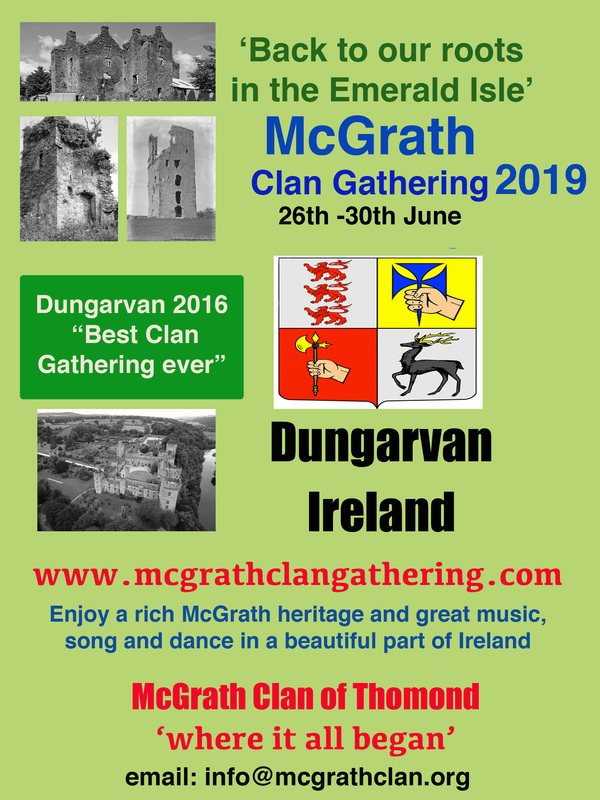 Five papers printed photos and details of the events for the Clan Gathering next June in Dungarvan. In three of the papers we got a full page, which also included the speeches of both the Dungarvan Mayor Cllr Micheál Cosgrove and County Waterford Mayor, Cllr Billy Kyne , who formally launched the event and extended a warm welcome to all visitors to both Dungarvan and County Waterford. This entry was posted in Uncategorized on February 6, 2013 by McGrath Clan (official).